There was an off the menu margarita making session on the night that we visited and the staff were able to conjure up a variety of concoctions (they range from £6-£7) for us to try. 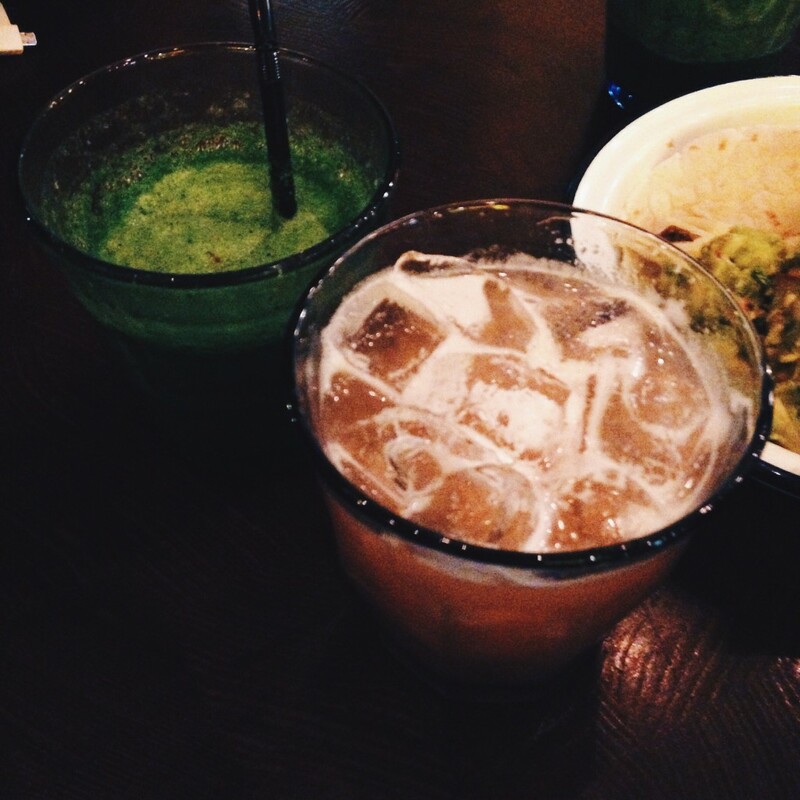 We tasted a range of interesting drinks, first of which was a green, velvety smooth and slightly spicy drink resembling a jalapeños/avocados/salsa mixture. It felt like there was barely any alcohol in it, but was nevertheless quite refreshing and a great start to the evening. Then, there was the refreshing rhubarb margarita, which was my personal favourite. Finally, there was the raspberry margarita which was sickly sweet, but also deadly strong. 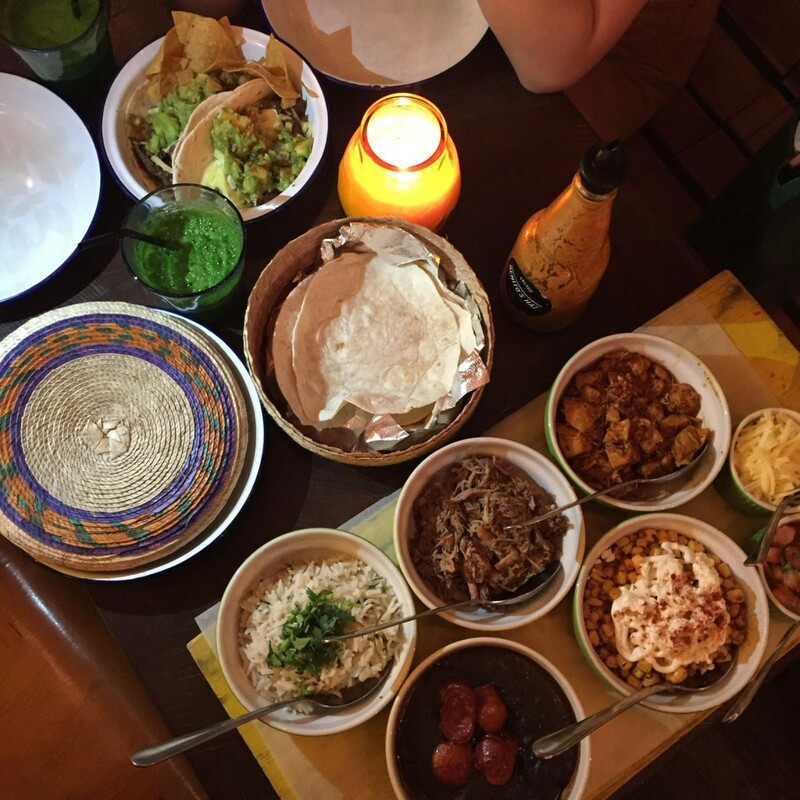 We were recommended the ‘Felipe’s Taco Tray’ (£17.75) for 2 people, and later decided to add on tacos filled with succulent grilled steak (each serving comes in 2) with extra guacamole and nacho chips (£5.70 + £2 for guacamole) from the a la carte menu. The tray consisted of a basket of 6 tortilla wraps and a tray of 7 bowls of ingredients: rice, black beans, chipotle grilled chicken with chorizo, salsa, shredded braised pork, esquites, and grated cheese. It was an ideal way to make up each tortilla to our taste. As for the tacos with steak, these were extremely filling and really tasty. Overall, I had a great night with a couple of friends. 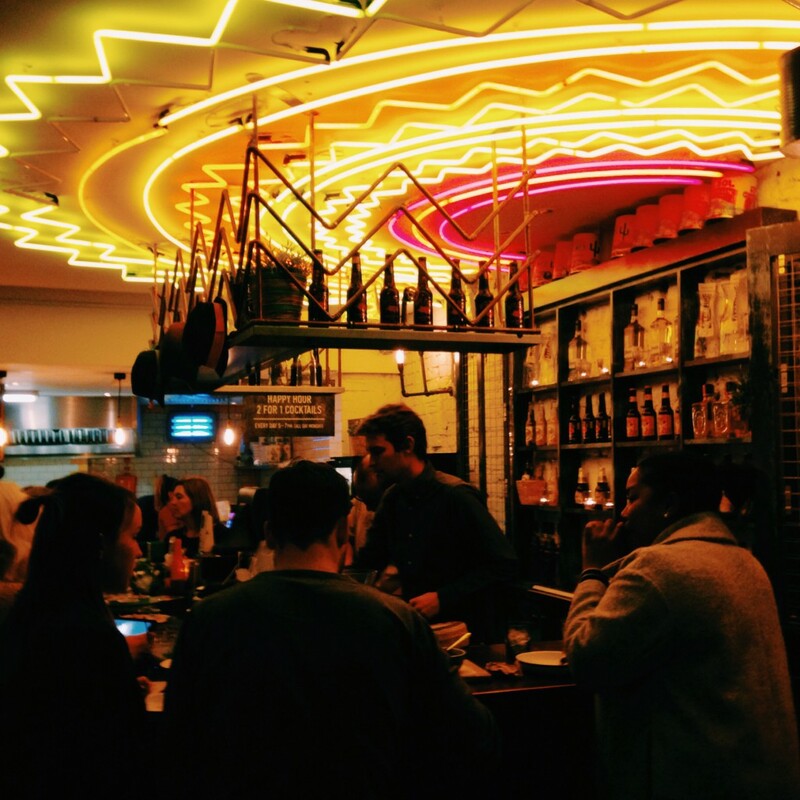 The system is an ‘order and pay’ over the counter style, so it’s an extremely casual and unpretentious place. 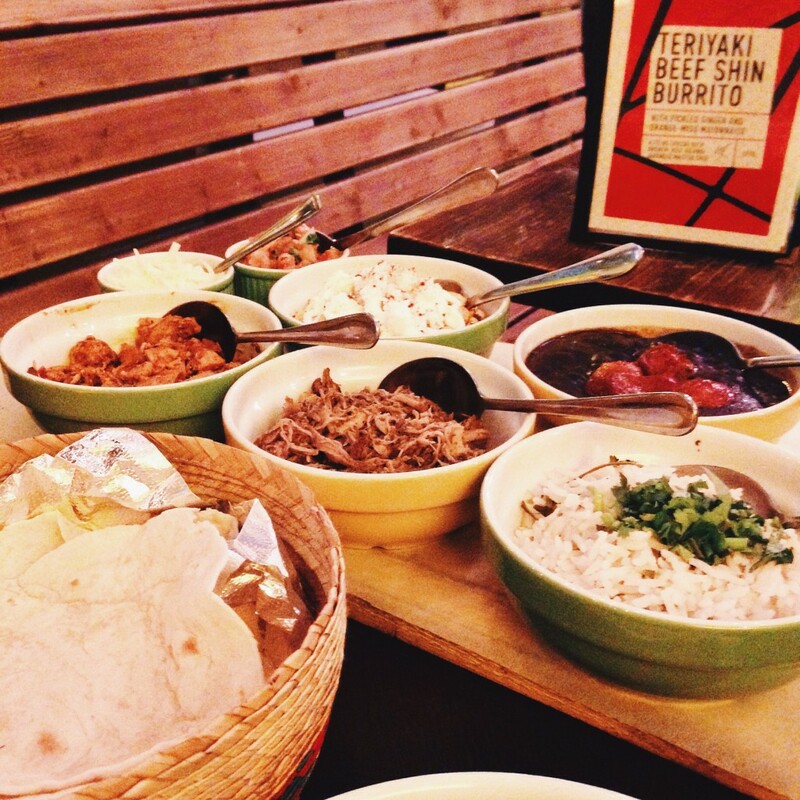 The food was filling and tasty, the drinks were refreshingly fabulous, and the décor of the venue was really fun. Safe to say, I’d definitely come back here for those steak tacos on my own or perhaps order it via Deliveroo if i’m lazy. 5) The decor, which is great fun for a young crowd. 2) Not ideal for groups. Price: About £10 to £15 a head, excluding drinks. 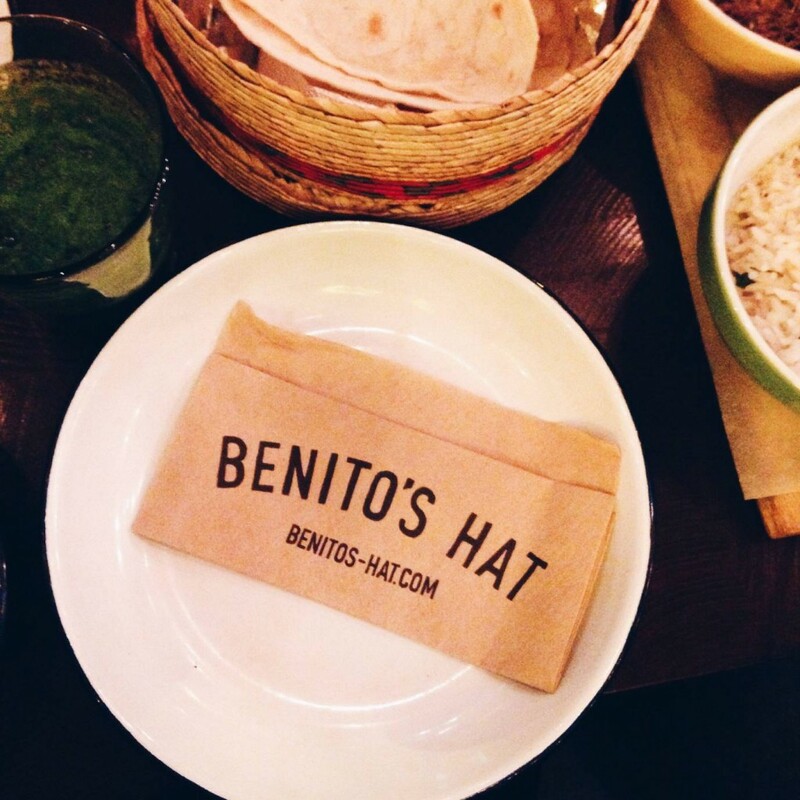 The post Benito’s Hat Farringdon appeared first on A Girl has to Eat - (and travel) Restaurant and travel reviews.